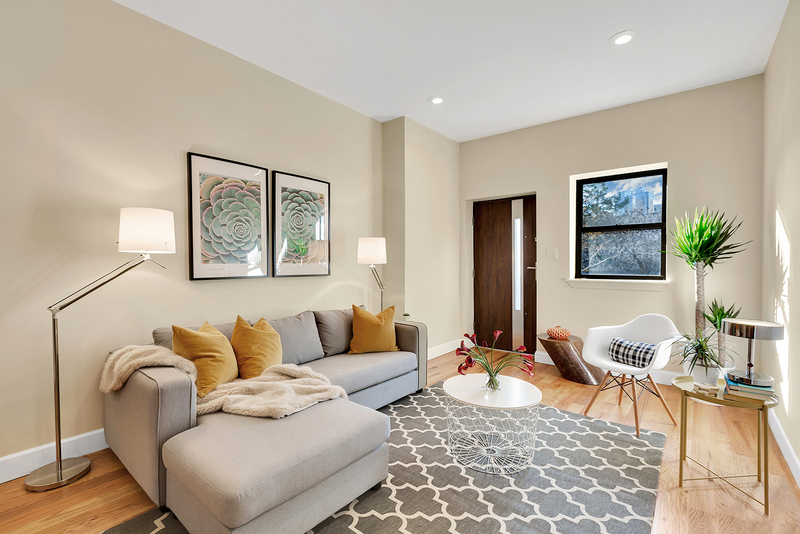 Located in one of Brooklyn’s most desired neighborhoods, Fort Greene, these fully renovated 3-bedroom, 2-bath apartments are drenched with sunlight, floored with beautifully restored hardwood, and outfitted with designer gourmet kitchens complete with all new appliances. Each unit has its own self-contained HVAC system, washer/dryer hookups, and additional lower-level storage. The first floor garden duplex has 3 bedrooms, 2 baths, a lower level recreation room and approximately 1450 square feet of outdoor space which includes a private garden and private parking. 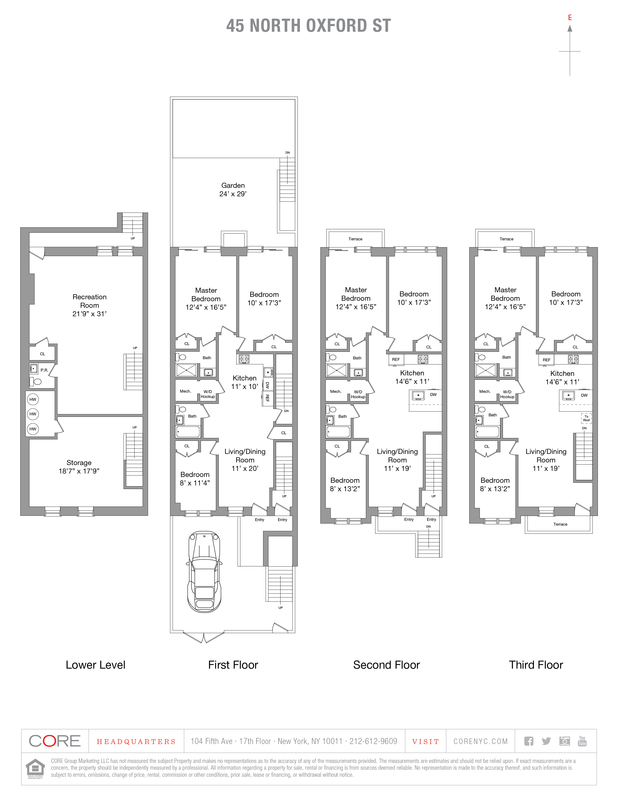 The second floor is a 3-bedroom, 2-bath with a private terrace and the third floor is a 3-bedroom, 2-bath with a private terrace.